Enjoy Shimla Pinks' delicious Gourmet Banquet set menu for just £21.95. Offer available for a minimum of two persons or more. Book online for free text confirmation or call 0116 426 1283. 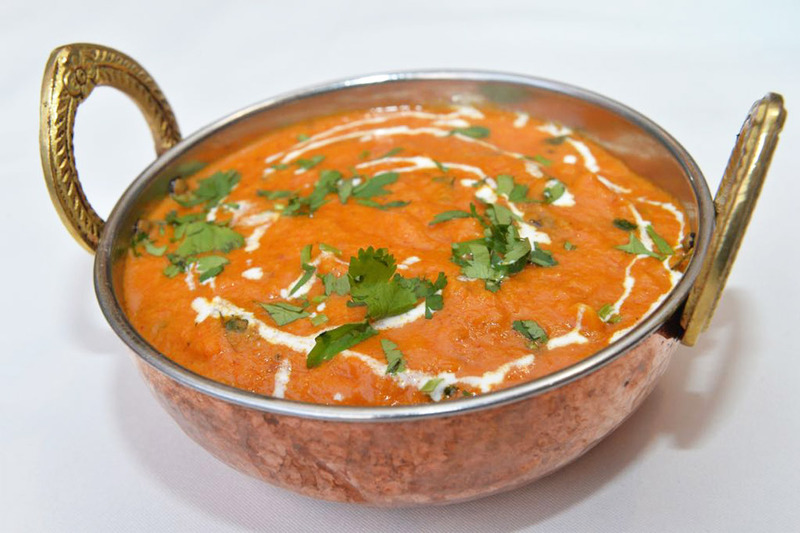 Enjoy Shimla Pinks' delicious Vegetarian Banquet set menu for just £21.95. Offer available for a minimum of two persons or more. Book online for free text confirmation or call 0116 426 1283. 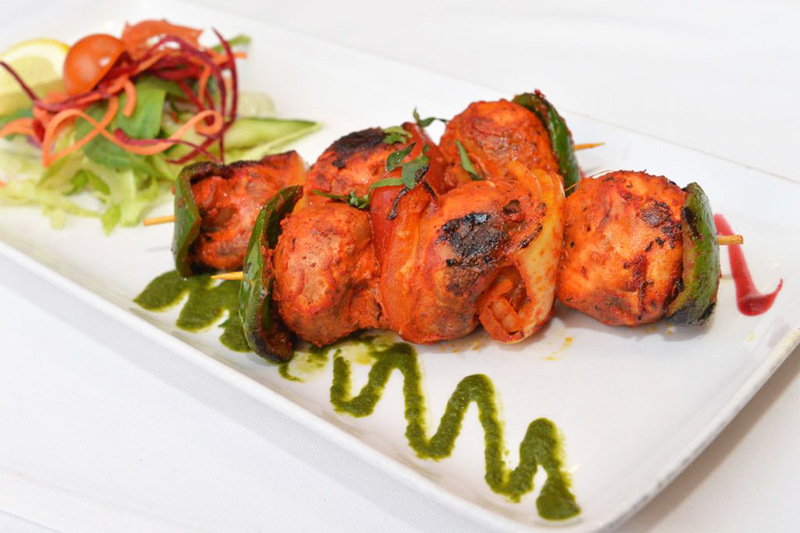 Enjoy Shimla Pinks' delicious Executive Banquet set menu for just £26.95. Offer available for a minimum of two persons or more. Book online for free text confirmation or call 0116 426 1283. Fantastic service. Food was presented beautifully. Food was brilliant quality. Would recommend to family and friends. Great atmosphere too. Great party atmosphere. Fantastic selection of dishes. The vegetarian Christmas banquet was superb. A nice variety of starters and curries, rice and naans. We turned up an hour early for our meal and even before the restaurant really opened for the evening, but they were very polite and accommodating. The best Indian meal we have ever had great value. Not happy with how they put a 10% service charge on the bill at all. Food was ok. Service ok. Overall quite expensive. Always great service nice and polite staff who are always willing to help food is always hot and good with plenty of it well worth a go. Very good banquet meal at Shimla can highly recommend! fabulous Birthday meal. We booked for 20, however it turned out to be 27 on the night but staff coped admirably! Only slight criticism was that the extra table provided was not "made up" and was quite clearly an add on.. There were other spate tables and chairs that could have been offered but sadly not. Excellent food especially when we do not normally eat Indian food. Lovely place and will definitely be going back. Fantastic, attentive service. Food was staggeringly good. Good food, good service definitely will return. It was good but not great; the meal was somewhat hotter than I expected from the two chilli rating and I could only eat half of it! Food was average. Service was appalling. Had to ask for a glass of water 4 times which I feel was unacceptable. Also felt under pressure to quickly finish courses with waiting staff hovering around our table waiting to clear the plates. Food was great. Service was OK but could've made a bit more effort. Restaurant could do with being more cosy it was a bit clinical. Toilets were a bit smelly. Excellent meal - freshly prepared and one if the best Indians I’ve eaten. Only negative was that we had a table reset for 17.30 and the restaurant didn’t open until after 17.35 so we were standing outside in the cold.other than that definitely would recommend. A fantastic evening of great food. A great variety of flavours from the set menus including starters and mains. Excellent choice. Portion sizes a bit too much if anything. Lovely food just a tad spicy for me. My fiance loved his meat dish but over all a fantastic meal with great service and pleasant, friendly staff. Food very good at Shimla Pinks, except for the cheesecake. But there was very poor service too sadly. Shimla Pinks was the best Indian we have ever eaten at. Went with my family and we all agreed best restaurant ever! The starters were excellent the main course very tasty. Shimla Pinks is the only restaurant that I know serving delicious Indian puddings horary. The service very friendly, just a little bit pricey but every bit worth it for special night out. We have been to Shimla Pinks several times before. Food always very good and a bit different. Dropped a star this time as we had scallops and they were not cooked properly. Always good value, although it is a bit pricier than some of the other restaurants we use a Gourmet card for (which give 25% off the whole bill). The booking system is great and quick. The meal at Shimla pinks was fab! Everyone had great service and enjoyed the food. One slight critique... The Goan fish curry was very bland and fish a bit rubbery. A shame as all the other dues he's were superb. Would go again but choose a different dish. 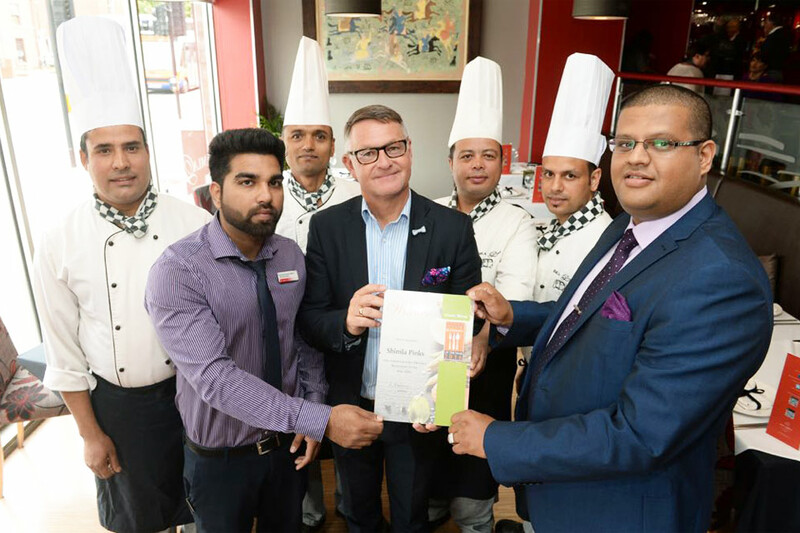 Shimla Pinks is the best restaurant in Leicester! It serves the most delicious Indian meals and its a great value for money! The waiters are very friendly and helpful everytime I've been. The decor is warm, modern and stylish which suits me and my friends perfectly! Lovely restaurant, great feeling of space, service was excellent, food was flavoursome and loads of it. Down side is the bill, the choice of whether to tip the staff should be your right and not already added to the bill at the end of the evening. Modern interior and excellent food. 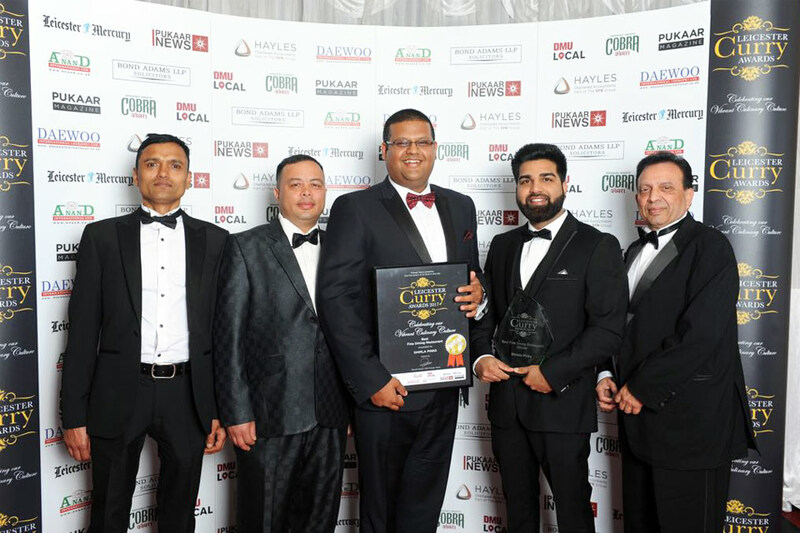 The Leicester Mercury Restaurant of the year 2016 and winner of The Leicester Curry Awards for Best Fine Dining Restaurant 2017. Shimla Pinks has an excellent reputation for serving delicious authentic Indian cuisine to it's trendy clientele and is certainly one of Leicesters most loved Indian Restaurants. Upon entering the restaurant the first thing you will notice is the bright and bold décor. With vibrant artwork adorning the walls, beautifully upholstered furniture and several choice Indian artefacts, the venue effortlessly fuses the best of contemporary design and comfort with traditional Indian hospitality to create a warm and welcoming atmosphere. 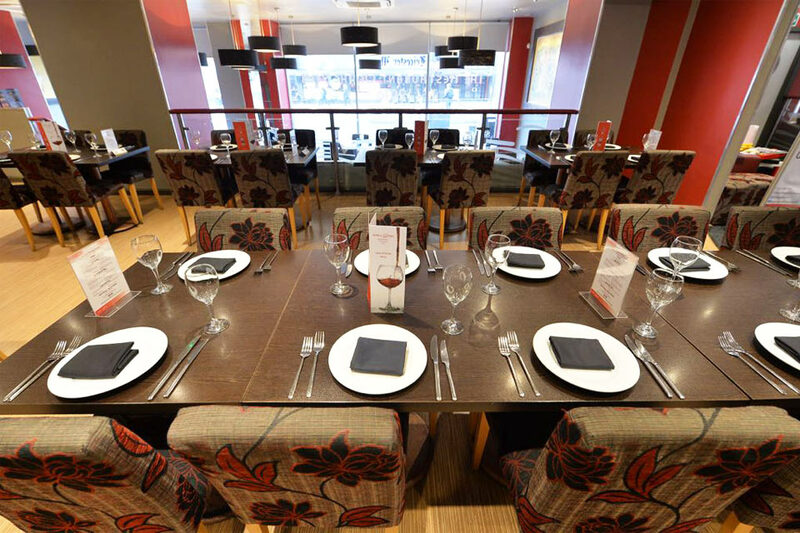 The spacious restaurant is split across two levels making it suitable for all party sizes. The ground floor is wheel-chair accessible and offers a large space filled with booth-style seating. This part of the restaurant is ideal for larger parties as the layout of the dining room allows groups of up to 30 to be seated together on one long table. As you ascend a small staircase you will find further dining space which is equally as suitable for large parties as well as smaller, more intimate occasions. It is on this floor that you will find the open-plan theatre kitchen where you are able to watch the skilled chefs at work as well as the beautiful bar area. You will find that there is plenty of space for business gatherings or parties of friends and for more privacy, diners are welcome to book the popular booths to the rear of the restaurant. 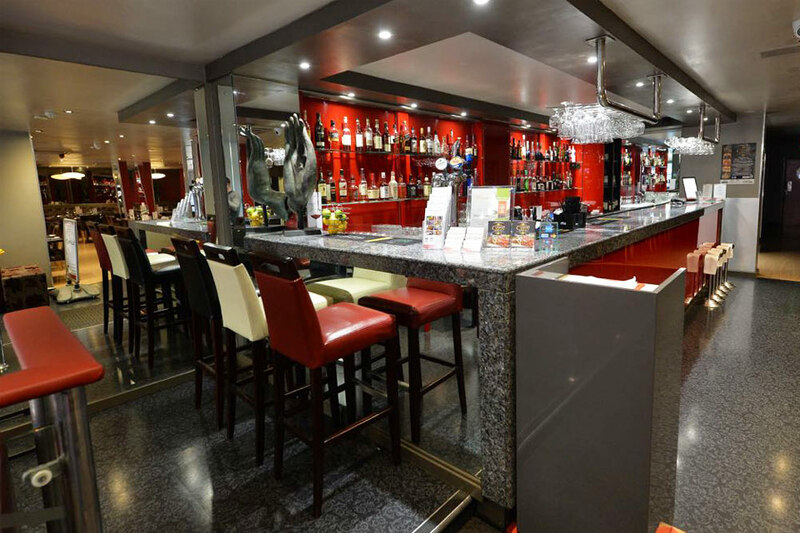 Shimla Pinks pride themselves on showcasing the very best of Indian cuisine in Leicester. 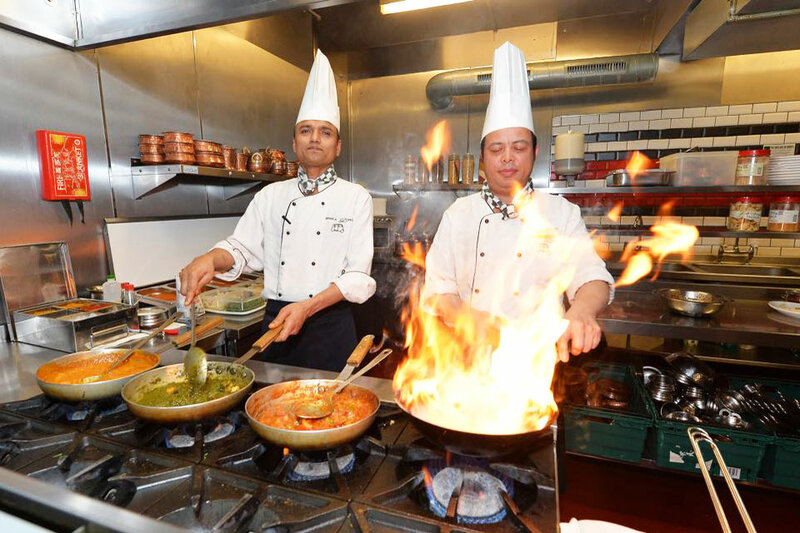 The kitchen team has been carefully chosen for their expertise in cooking the exotic regional specialities from across the country. 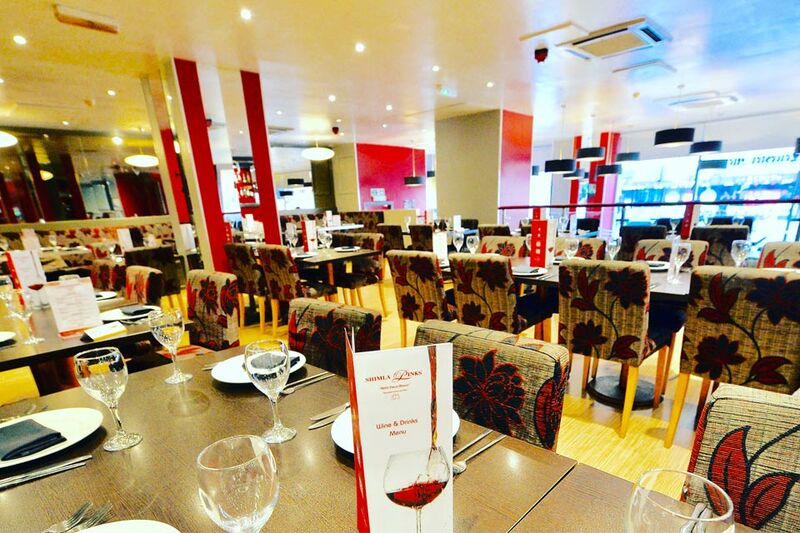 This has resulted in a spectacularly varied menu that offers a great selection of traditional dishes, many of which are finished with a modern twist. The culinary journey begins with only the freshest and best quality natural fresh spices and herbs and we can guarantee that no artificial food colourings are used in any of the dishes. As well as the more popular curry dishes, you will find many unusual regional delicacies. Those who are feeling brave and decide to try something new will be heavily rewarded with a dining experience like no other. The friendly waiters are always on hand to offer recommendations and descriptions of any dishes you may be unfamiliar with so take a risk and reap the benefits! During the day a great value for money lunch menu is on offer which is perfect for everything from business lunches to just wanting to escape from the office for an hour. 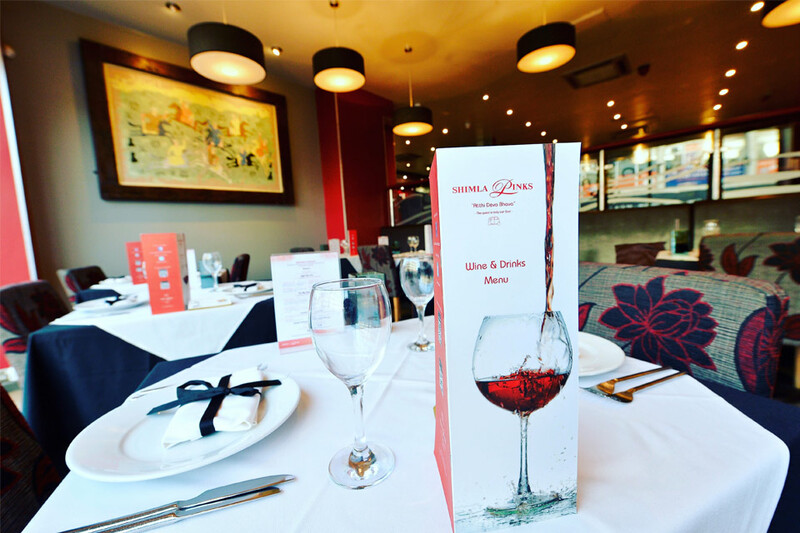 If you are looking for the ultimate Indian restaurant then look no further than Shimla Pinks in Leicester. Book online with any special requests and the team will ensure you have a memorable experience from start to finish. IF YOU ARE USING A GROUPON VOUCHER, YOU NEED TO BOOK VIA THE GROUPON SCHEDULER WHICH CAN BE FOUND ON THE FOLLOWING LINK - http://grouponbookings.co.uk/shimlapinksleicester/ ALL GROUPON BOOKINGS MADE VIA Go Dine WILL BE CANCELLED. A protein and potato curry, very hot! A minimum of two guests must order the same set menu. Enjoy Shimla Pinks' delicious Gourmet Banquet set menu for just £21.95. Offer available for a minimum of two persons or more. 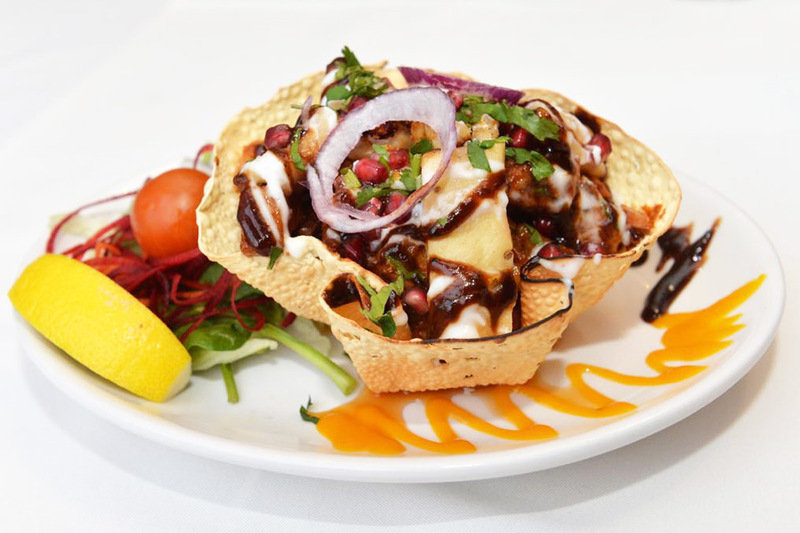 Enjoy Shimla Pinks' delicious Vegetarian Banquet set menu for just £21.95. Offer available for a minimum of two persons or more. 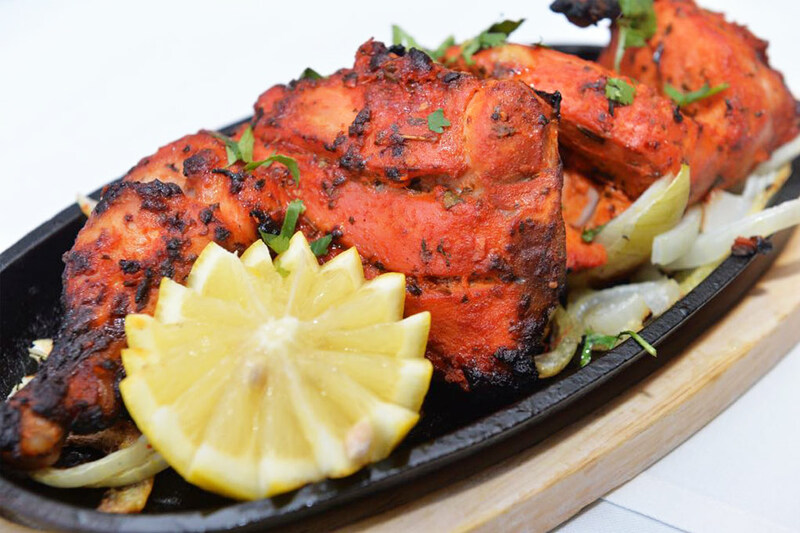 Enjoy Shimla Pinks' delicious Executive Banquet set menu for just £26.95. Offer available for a minimum of two persons or more.